Welcome to New Trade LinksSupplier of Special Lamps, Sockets for Medical, Printing, PCB & Industrial ApplicationsThe company was established in 1968. Our State-of-the-art infrastructure & Widedistribution network make us unique in the industry. Timely delivery, Competitive prices & Ethical business practices make us the first choiceof our clients. We offer a wide assortment of Dental, Graphic Art & U. V. Curing Lamps. 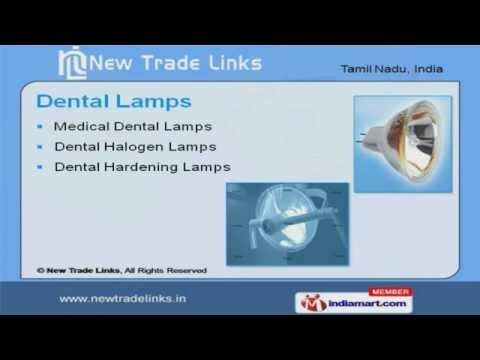 Our Dental Lamps are in huge demand across the global markets. Graphic Art & U. V. Curing Lamps offered by us are widely appreciated in the market. Our Medical Instruments are extremely reliable. We also provide Microscopes, Endoscopes Lamps that are best in the industry amongstothers. Along with that we offer O. T. Lights Spare Lamps that are some of our best sellingproducts.